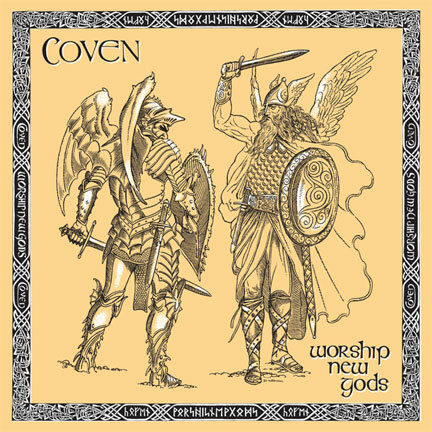 Shadow Kingdom Records is pleased to announce the July 31st reissue of COVEN’s legendary 1987 album Worship New Gods. COVEN, from Detroit, MI, is not the Jinx Dawson COVEN that is somewhat known in the underground Metal world. 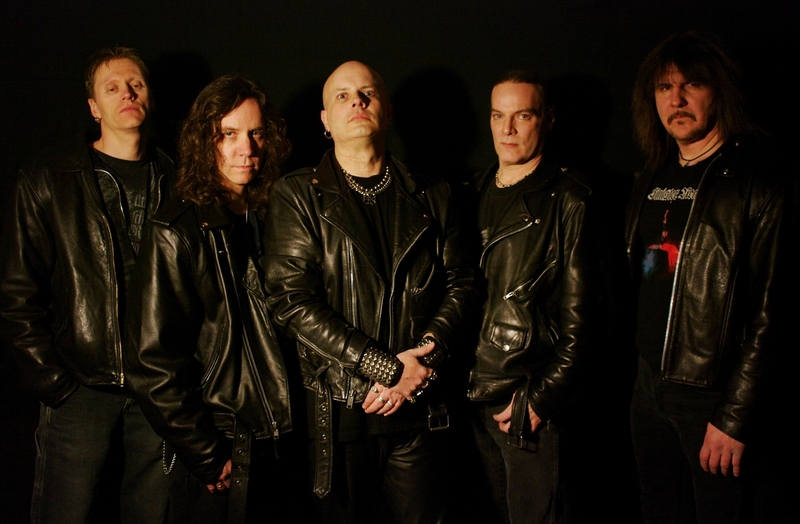 This COVEN, who was actually approached by Jinx to change their name to COVEN 13, is a unique 80’s Heavy Metal band that unleash a rare blend of CANDLEMASS / SABBATH Doomy Heavy Metal with a MERCYFUL FATE / CELTIC FROST black metal charm to it. The album is quite moody and may take a little while to sink in, but once it clicks, there’s nothing quite like it. This is one of the rarest US Metal albums to ever exist because it was self released back in 1987 on VINYL only. This is the first official release of it on CD with a lot of amazing band photos. 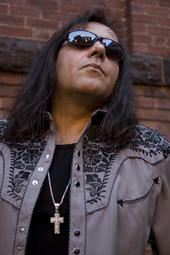 * For more info on Shadow Kingdom Records, click link below! LONG LIVE SHADOW KINGDOM RECORDS. Everyone has their own opinion, as to what they consider was/is the “greatest moment” of Heavy Metal history. 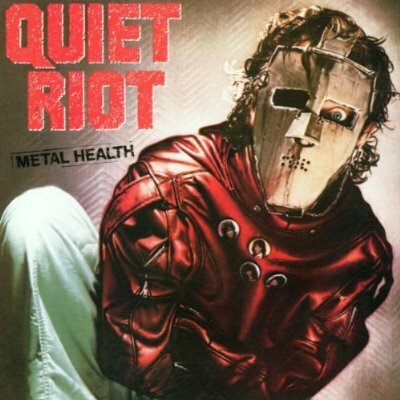 I have mine and it is Quiet Riot creating and achieving the first #1 Heavy Metal album, Metal Health, to reign on the Billboard album charts. This was 1983 and I remember it all so vividly. 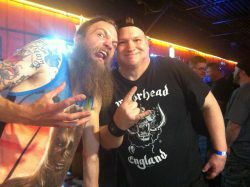 To have a Heavy Metal band represent us Metalhead fans this way, was truly a profound moment… for me. No other Heavy Metal album before Metal Health went to #1. Amazing. 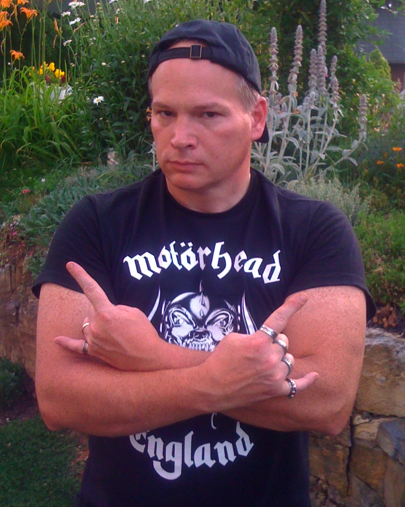 The world knew then… that Heavy Metal was forever accessible within the mammoth antagonistic world known as… the mainstream. Yes, Heavy Metal has and will forever rule the underground, only Quiet Riot made certain that the mainstream and its album charts would never be the same again. 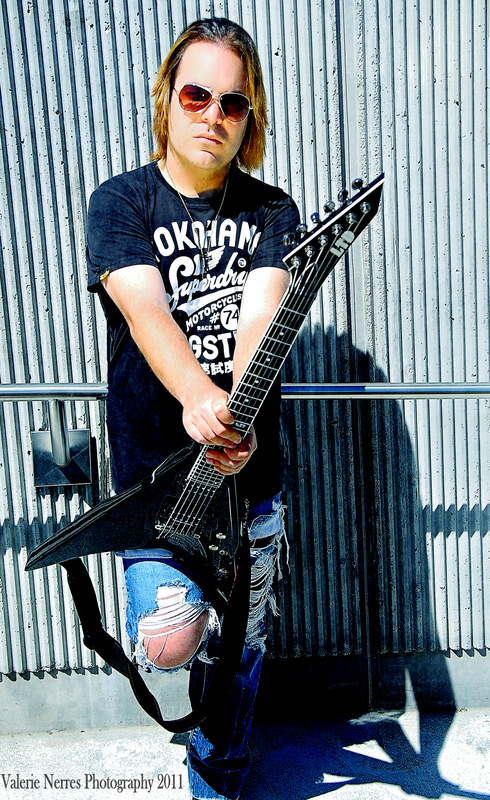 A short time ago, I contacted several world known musicians who are making a living by creating and playing our beloved Heavy Metal. I posed the same question to each musician: “What do you consider is/as the “greatest moment” in Heavy Metal history and why?” As you shall read below, their answers are all unique and makes for some downright fun Heavy Metal discussion! Without question, these talented and admirable musicians are forever historically part of Heavy Metal. They live for Heavy Metal. They are continuously contributing to our beloved genre with blood, sweat and tears. I thank them all for it. I also thank each musician below for taking the time, from their busy schedules, to participate in this feature on Heavy Metal. Each and every one of ’em… ROCKS! Hell yes, they do. “Very tough question but for me I would have to say it was when I started to see some of my favorite Rock Gods appear on Television. At ten years old I would sneak downstairs and stay up to one in the morning and watch “Don Kirshners Rock Hour” in the early seventies and catch the likes of Ted Nugent, T.Rex, Grand Funk Railroad, Brownsville Station and KISS. Then it was The Midnight special with Black Oak Arkansas, Deep Purple, Cheap Trick and Aerosmith. The eighties brought us “Headbangers Ball” to MTV with Ratt, Motely Crue, Black Sabbath, Ozzy, Whitesnake, Dio, etc..
“Wow, that is a good question man, I mean hmm, I honestly have no clue!” (laughs). 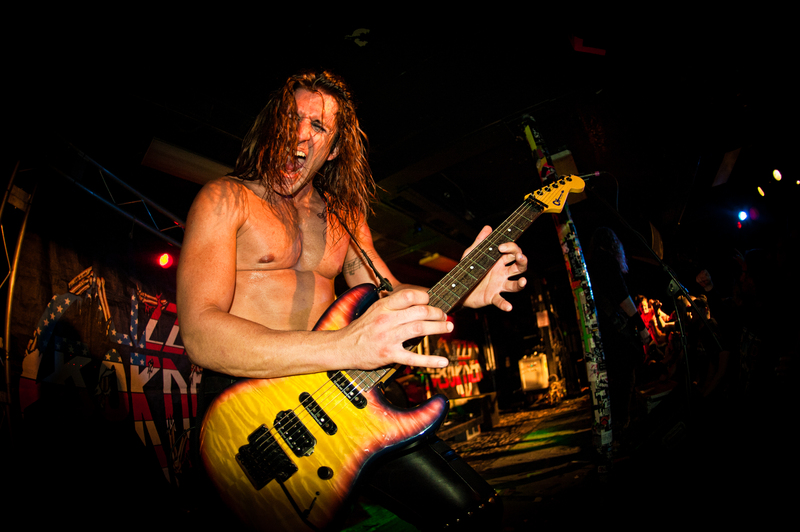 ENTHRALL – Originating from Bangalore, India and eventually being signed by Greece independent label METALFIGHTERS, founding member and multi-instrumentalist/vocalist Neil Rego has his solo project ENTHRALL causing quite the buzz within the worldwide Metal underground. The roots of ENTHRALL go back to 1995, when ENTHRALL was initially a unified band. Family commitments and the inability to relocate are the legitimate reasons as to why the remaining original members of ENTHRALL had to step aside. 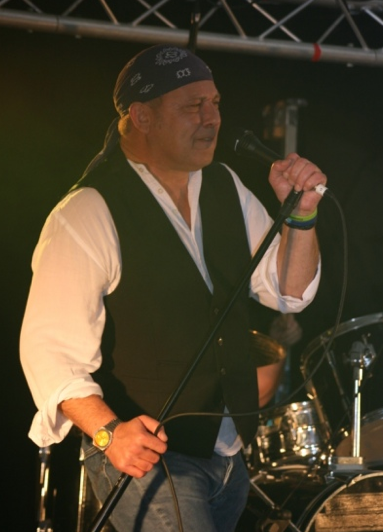 With guest musicians appearing on his latest (second overall) ENTHRALL album, Neil Rego has given every indication that he is a well-rounded songwriter and lyricist, coupled with his undeniable and admirable proficiency as a vocalist and multi-instrumentalist. 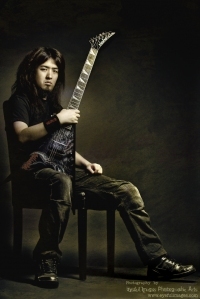 No Metal rock should be left unturned and ENTHRALL is one solid Metal rock worth discovering. 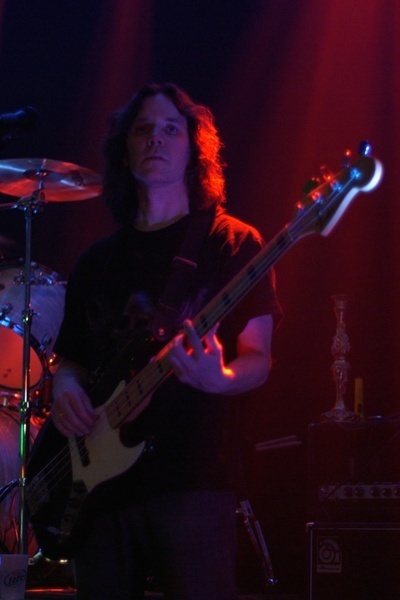 The influences of Classic Metal, Classic Rock, Progressive Rock/Metal and old school Speed Metal are all interwoven into a unique texture of sound on Throes Of Fire, courtesy of Neil’s musical vision. Neil’s clean vocals are married with his brand of Metal in such a smooth way that I cannot help myself liking what I hear, throughout Throes Of Fire. If I had to choose my favorite song, the title track keeps replaying in my mind. Melodic from beginning to end and most essentially memorable is Throes Of Fire. 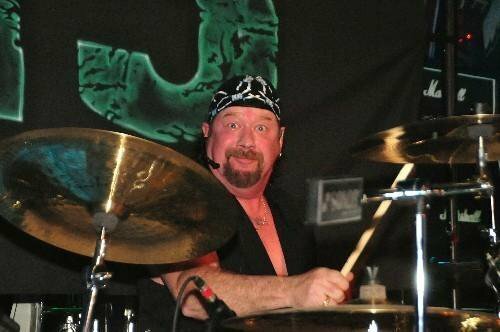 With no flashy gimmicks of an over-produced product, Neil Rego has compiled these ten songs on this album to sound effectively efficient, in an early 80’s Classic Metal sort of way. Throes Of Fire has grown on me and has left an imprint of uniqueness upon my ears that is so ultimately important. As a sophomore release from ENTHRALL, Neil Rego has shown that he can act upon his Metal vision and create an album that dominates on the melodic side of the spectrum, while knowing when to let loose the hard and heavy without crossing that fine line of filler territory. 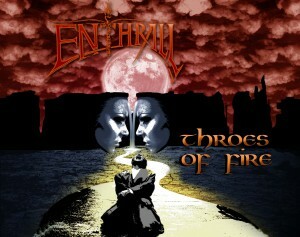 I recommend checking out ENTHRALL to any fan of Heavy Metal or even Hard Rock. There is a vast bounty of Metalheads out there, that should find Throes Of Fire to be an album worthy of their time. It’s been worth my Metal time. Metal be thy name. 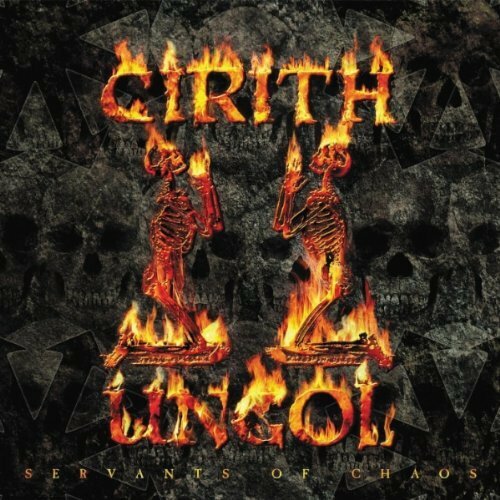 CIRITH UNGOL – The 2-CD/Bonus DVD of vintage CIRITH UNGOL, Servants Of Chaos, was released back on January 31st, 2012, via Metal Blade Records in North America. Servants Of Chaos was originally released (exclusively) in Europe, back in 2001. What an amazing package, which salutes this never to be forgotten Metal band from Ventura, California. 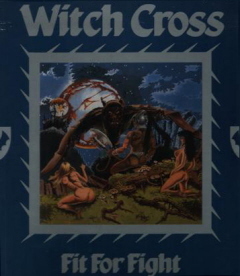 CIRITH UNGOL can easily be classified as a pioneering and influential Metal band from the early 80’s. 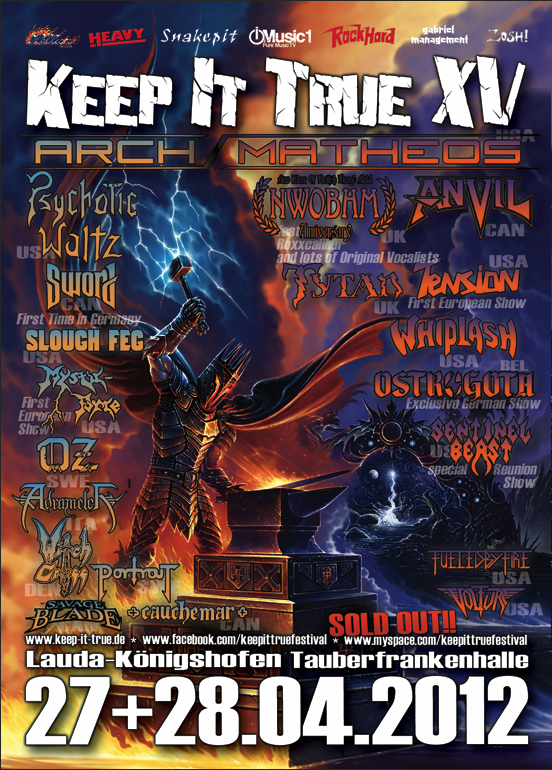 I highly recommend, to all Metalheads worldwide, these rare and live tracks, along with video footage of CIRITH UNGOL, to sink your Classic Metal craving senses into! 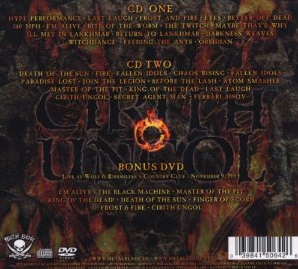 Adding this Cirith Ungol 3 disc set to your Metal collection will serve you right. I just bought Servants Of Chaos recently and it’s worth every penny. f.y.e. was selling it at a sale price for $9.99 (U.S.). That’s a stupendous price for 2 CD’s and 1 DVD! Check out below: Cirith Ungol “I’m Alive” (Live) from the album “Servants of Chaos”. Recorded live at Wolf and Rissmiller’s Country Club on November 9th, 1984. Whoa and Metal be thy name. LONG LIVE THE METAL LEGACY OF CIRITH UNGOL. The word “stupendous” was used in this post. 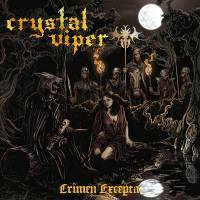 CRYSTAL VIPER – ‘Witches Mark’ Exclusive 2 Track Download Single Available Now! 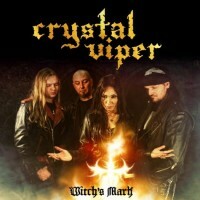 CRYSTAL VIPER “Witch’s Mark” – exclusive 2-track download single coming out on March 30th, 2012, via AFM RECORDS! Incl. 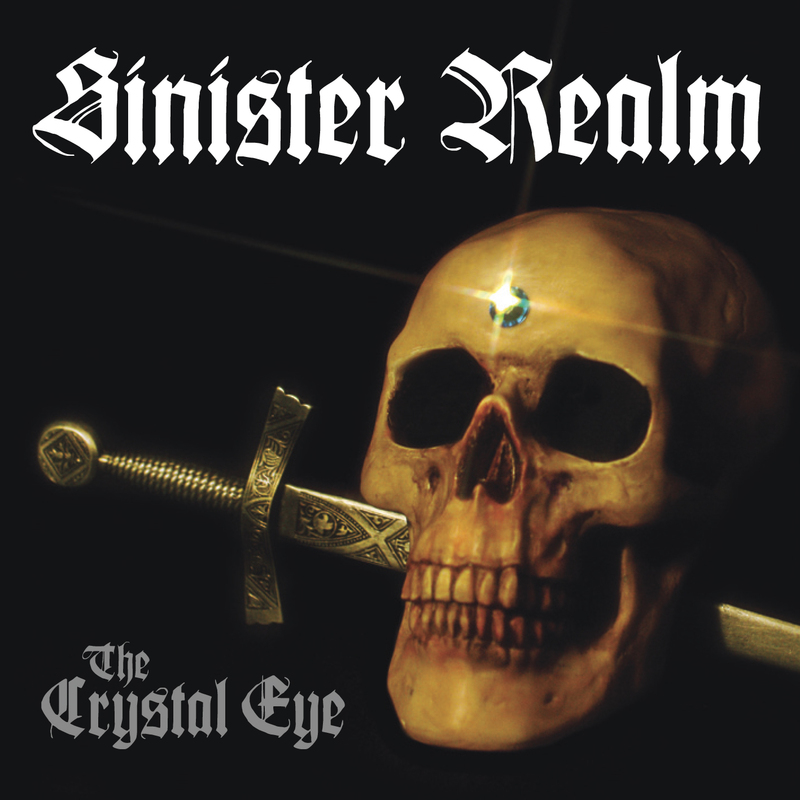 title track – taken from the forthcoming full length studio album “Crimen Excepta” – coupled with “The Banshee”, newly recorded version of the song originally available on the limited edition MLP “The Last Axeman” (2008). To be available on all legal digital outlets! 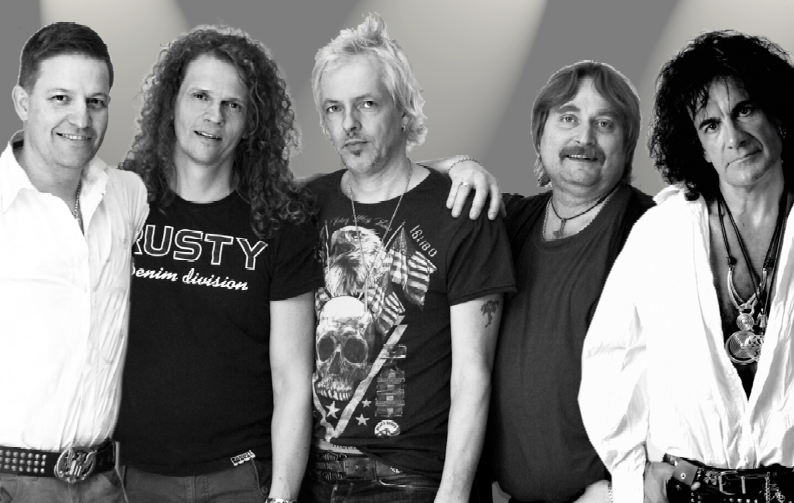 Crimen Excepta releases on AFM Records, on April 27th, 2012.